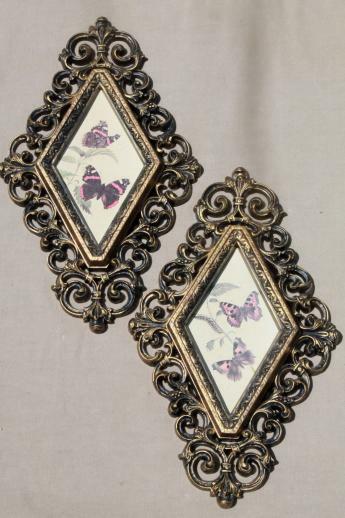 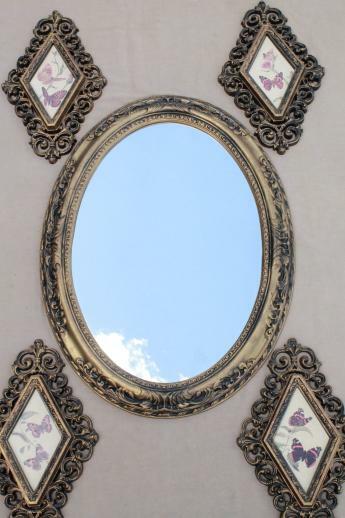 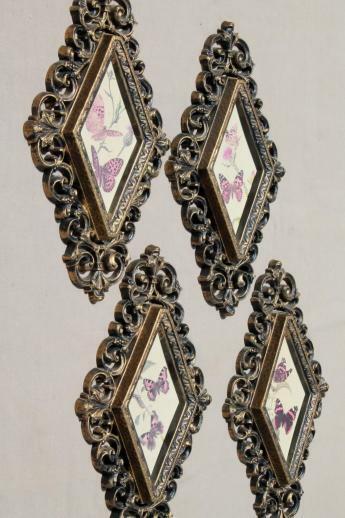 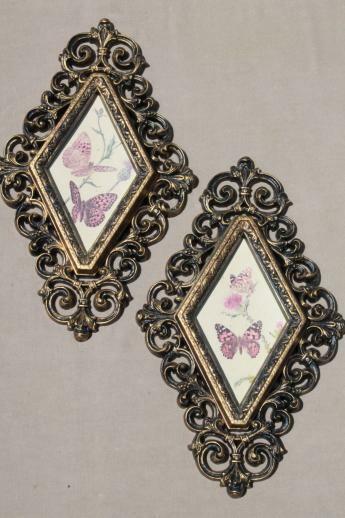 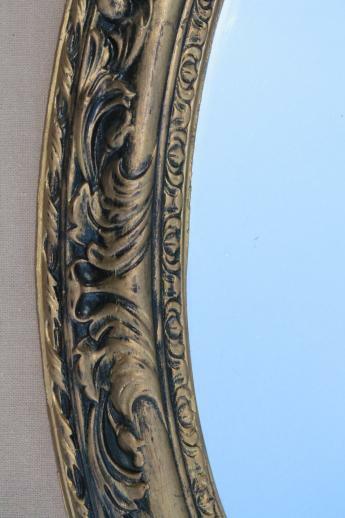 60s rococo style black and gold plastic wall art pieces - an oval mirror 22 1/2" x 17 1/2" overall, and a set of four butterfly prints framed in plastic settings without glass, 12 1/2" long. 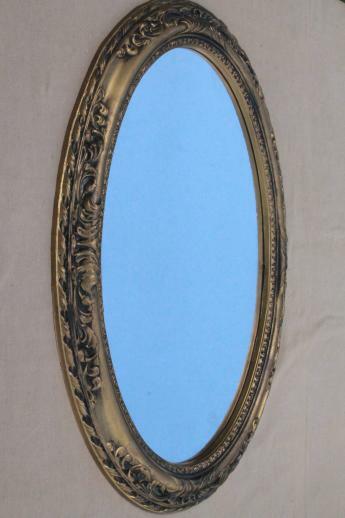 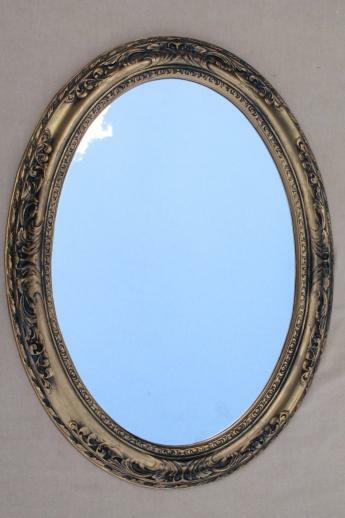 These are all in good shape, prints very faintly yellowed or faded, mirror has very minimal wear from use. 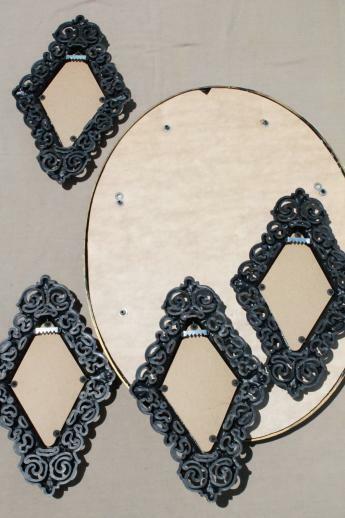 They make a great retro grouping, and you can arrange and rearrange these in a million different ways.